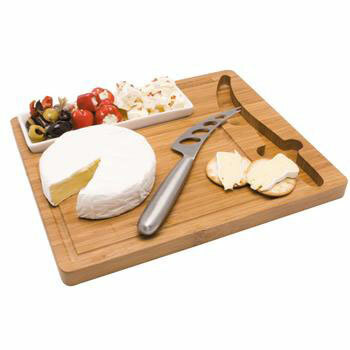 This eco-friendly cheeseboard is a stand-out. The beautifully-crafted bamboo board features a ceramic snack bowl and stainless-steel cheeseknife all supplied in a natural-coloured gift box. As this product is hand crafted, The Big Cheese may differ slightly in shape and size.